Looking for fresh apps for your iOS device? We’ve found 57 great apps that were released over the last couple of days. 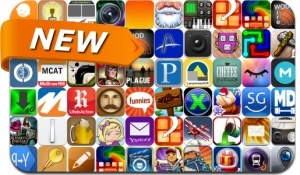 This new apps alert includes Christmas Mysteriez: Hidden Object, Jet Trains, Stone Age: The Board Game, The Grading Game, Artemis Spaceship Bridge Simulator, Aerofly FS, Flow Line, Zen Shapes, Audrey's Enigma, InstaSize and many others.